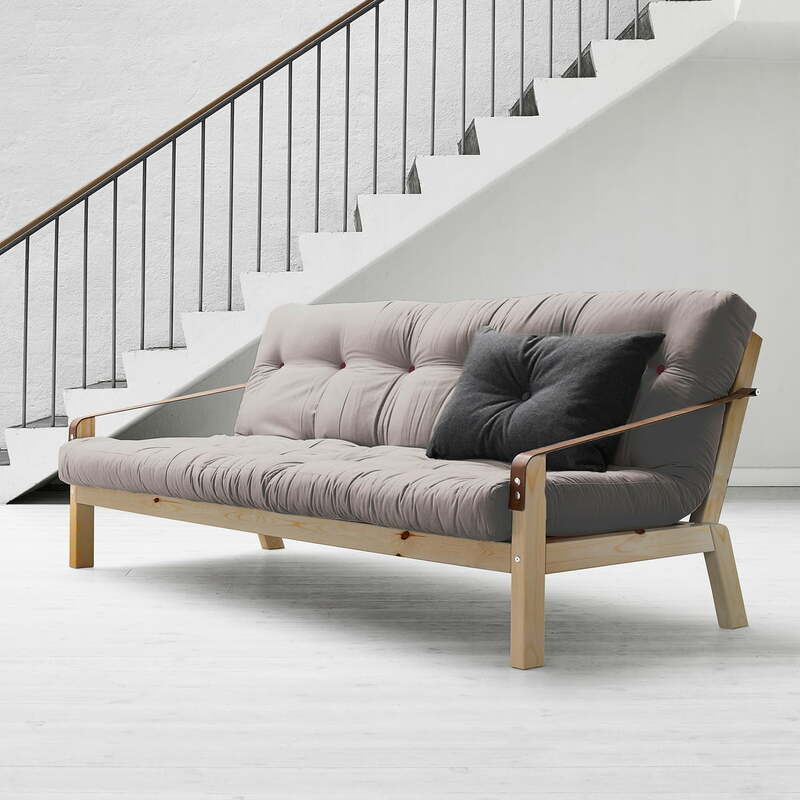 The Poetry Sofa by Karup is an elegant and timeless sofa, which can easily be transformed into a bed for two persons. The sofa’s backrest is kept in position by two leather straps with loops. When removing the leather straps, you get a generous bed 130 x 200 cm, which can be used as a sleeping place and relaxing zone. The frame of the Poetry sofa consists of FSC certified wood, which is available in various untreated or varnished colours. A futon is located on the frame. The filling of the futon consists of a foam core and cotton. The fabric, which is available in various attractive colours is made from polyester and cotton. In addition, three matching cushions are included. 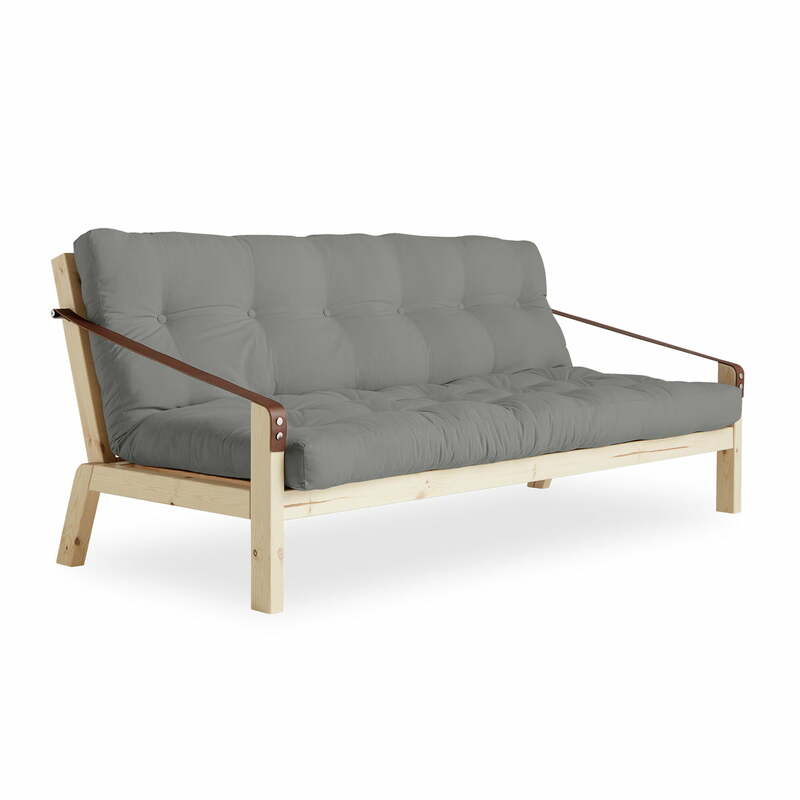 Product view of the Poetry sofa from the Danish label Karup in pine nature with futon in grey. The frame of the Poetry sofa is made of FSC certified pine wood. Product view of the Poetry sofa from the label Karup in pine nature with futon in beige. The frame of the Poetry sofa is made of FSC certified pine wood. 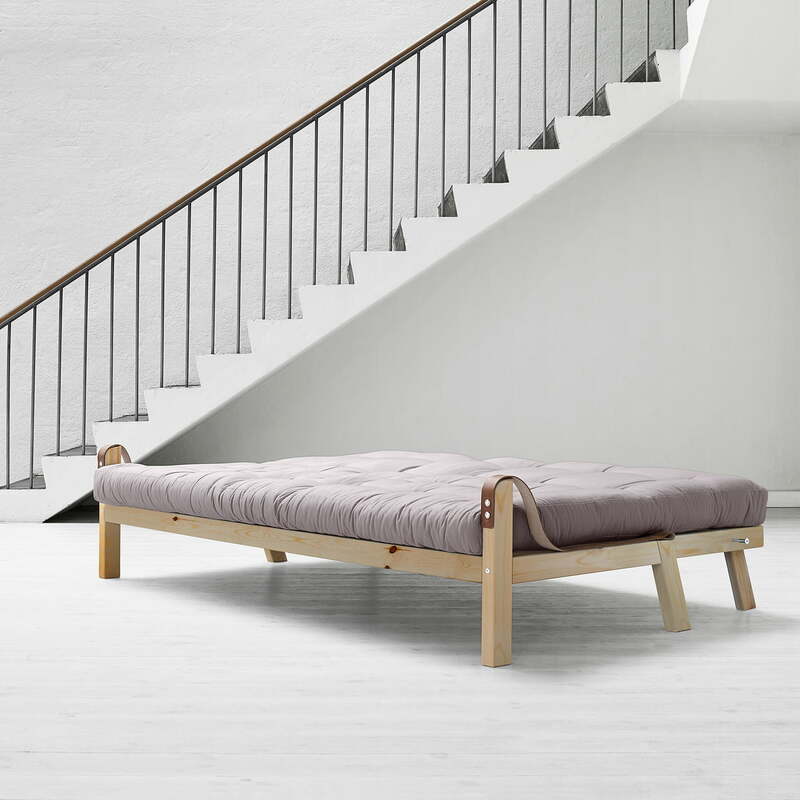 The Poetry Sofa by the design manufacturer Karup is an elegant and timeless sofa to sleep on, which can easily be transformed into a bed for two persons. The sofa’s backrest is kept in position by two leather straps with loops. When removing the leather straps, you get a generous bed 130 x 200 cm, which can be used as a sleeping place and relaxing zone.